Directions: Hwy 85 N to Stillwell Blvd and turn right. Follow to left onto Valley Rd, then right onto 2nd Ave. Home is on the left. 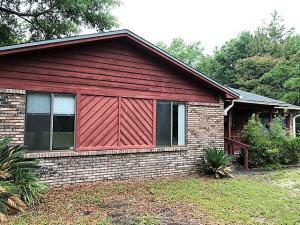 Remarks: Great location in the heart of Crestview but just outside of city limits so no city taxes, close to everything many of the Crestview amenities including shopping, schools, library, post office, community center, theatre and the new Publix. This well maintained 3 bed 2 bath brick home with 1925 sq ft is a low maintenance home that has plenty of room and with metal soffits and a new roof installed last year. The home is sitting on a larger nice level lot approximately .90 of an acre. The large backyard is enclosed with a chain link fence. There is a waterview of a neighboring lake. AHS home warranty provided. Call to take a look today. Directions: From the Intersection of Hwy 90 and North Davis Lane, take North Davis Lane to the stop sign, turn left onto German Club, property will be on your left. Remarks: REO Real Estate Owned. 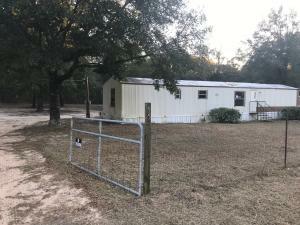 This 3 bed 2 bath home sits on just under an acre of land. 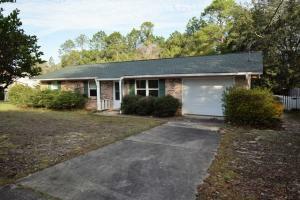 Just five miles to juniper lake and lake Stanley park close to town shopping, schools, post office. Call to take a look today at 55 Landfill Rd. Directions: Hwy 85 to Airport Rd. Turn right. Follow to Horne Hollow Rd.,turn right. Follow to Meadow Lane on left. Home is almost at the end on the left. Remarks: Real Estate Owned REO. This is your opportunity to get a great deal on a single family home. 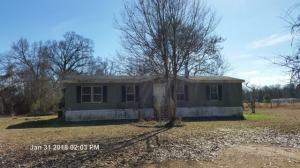 This home offers lots of potential and has three bedrooms, two baths with tile and laminate flooring throughout. 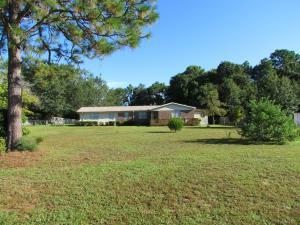 Several outbuildings and a large yard complete the picture of your new country home. Call to take a look at 5930 Meadow Lane today. Remarks: Real Estate Owned REO. This property may qualify for Seller Financing (Vendee). Property was built prior to 1978 and lead based paint may potentially exist. Country setting in the heart of the city. You’ll find this home situated on over 1/4 ACRE! The circular driveway allows you easy access to your new home and the double gated driveway to the backyard and 34ft x 23ft detached garage and workshop. 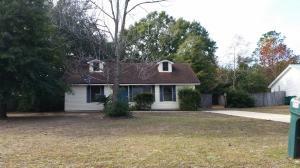 Spacious living, crown molding and laminate flooring throughout. Large family room off the kitchen with paneled half walls and French doors leading to the covered back porch and backyard. Galley kitchen is the heart of this home with lots of counter space, tiled back splash, plenty of cabinets and tile flooring throughout. Roomy master bedroom with sitting area and walk-in closet. Call today. 6469 Partin Lane went direct to auction and now sold. Directions: From the intersection of Hwy 90 and Hwy 87 in Milton, go north on Hwy 87 for about 28 miles, then turn left onto Partin Ln. Property will be on the left. 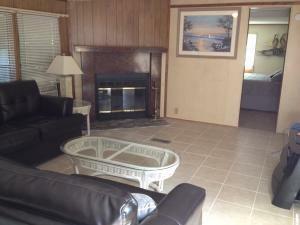 Remarks: This Manufactured Home has 3 bedrooms, 2 full bathrooms and approximately 1248 sqft. Property is being sold As-Is, Where-Is. No financing or inspection contingencies allowed. Transaction fee: 5% of Final Bid Price or $2,500 minimum. Deposit: 5% or $2,000 whichever is greater.